The Poson Poya, which is especially noteworthy to the Sri Lankan Buddhists is a festival celebrated in Sri Lanka on the full moon of June. Poson poya celebrates the arrival of Buddhism in Sri Lanka in the 3rd Century BC, a festival of great historical and religious significance celebrated by Sri Lankan Buddhists which made Sri Lanka the stronghold of Theravada Buddhism. 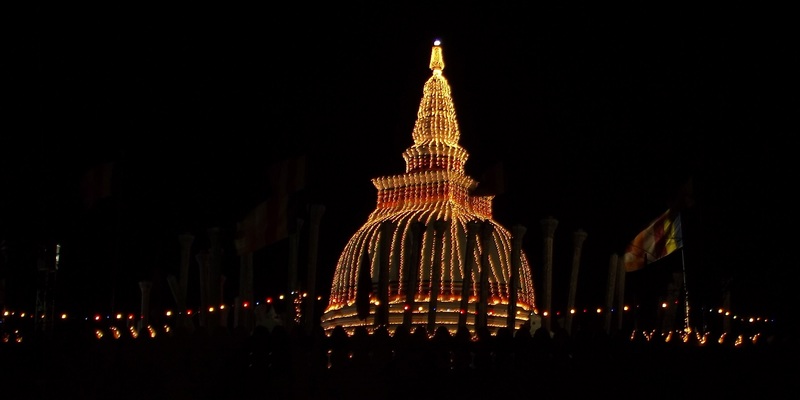 Poson Poya is celebrated annually with great fervour throughout the island but particularly in Mihinthalaya where Arahant Mahinda thera first set foot to preach the word of Lord Buddha. In addition to the normal ritualistic observances undertaken on a poya day, many other religious activities are organized during the Poson period such as dansals, devotional songs, pandols and lanterns.